(Nanowerk News) More than 2,000 consumer products today contain nanoparticles — particles so small that they are measured in billionths of a meter. A new study by the University of California Center for Environmental Implications of Nanotechnology has found that smaller silver nanoparticles were more likely to enter fish’s bodies, and that they persisted longer than larger silver nanoparticles or fluid silver nitrate. 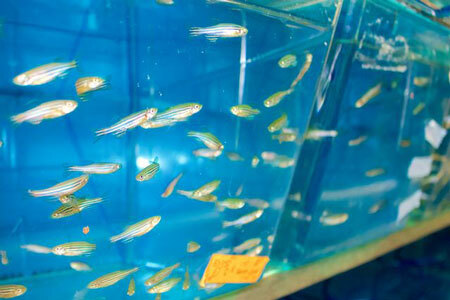 The study, published online in the journal ACS Nano ("Organ-Specific and Size-Dependent Ag Nanoparticle Toxicity in Gills and Intestines of Adult Zebrafish"), was led by UCLA postdoctoral scholars Olivia Osborne and Sijie Lin, and Andre Nel, director of UCLA’s Center for Environmental Implications of Nanotechnology and associate director of the California NanoSystems Institute at UCLA.